Today, Virtual Reality (VR) and Augmented Reality (AR) technologies are applied to advanced fields of medicine, engineering, education, design, training, and entertainment. 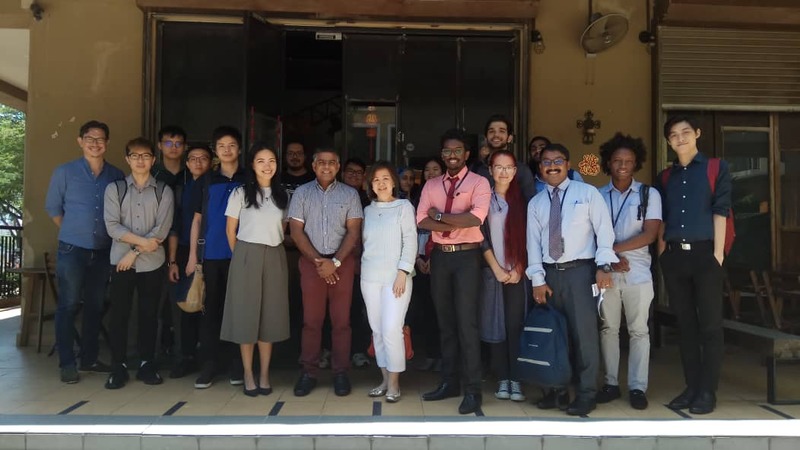 To expose our students to the potential that VR & AR have in store for us, an industrial visit was organized for the Multimedia Technology (MMT) & Computer Games Development (CGD) Students from the School of Media Arts and Design (SoMAD) to MinistryXR - A company specialising in effective communications through XR – who is the pioneer in creating breakthroughs that redesign the way we Live, Work, Play and Learn by using XR Technology. 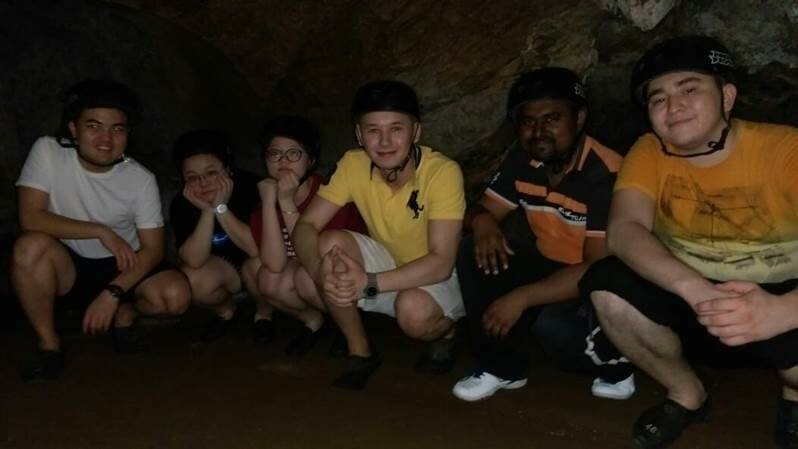 A total of 15 students along with Prof. Dr. Ir. Vinesh Thiruchelvam, Assoc. Prof.Wong Bee Suan and Dr. Maryam Shahpasand visited the studio for an immersive experience of VR and AR Technologies. The students were given a virtual live experience of the "Toyota Car Showroom" , where they were able to take a virtual tour of the showroom and interact with the car with the help of HTC Vive and Oculus Rift Head Gears. 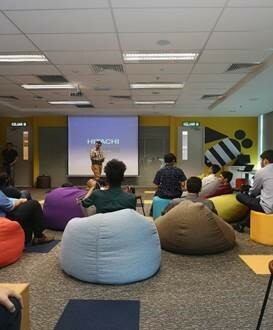 The students also got to experience the Augmented Reality apps that the company created for CIMB Bank and PizzaHut. Through these immersive experiences, students were exposed to the amazing wonders that can be created in the world of VR, AR and XR, stimulating them to make use of these technologies in developing creative solutions in future. Overall, students had a positive feedback about the visit, broadening their horizons on VR, AR and XR. 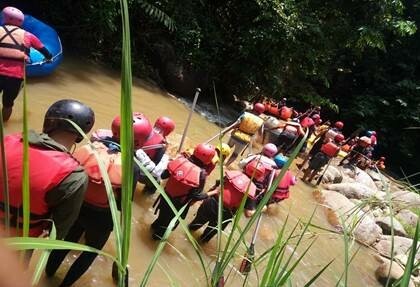 Kudos to our lecturer, Mr. Edwin Pio Rufus from SoMAD for coordinating and arranging this visit. 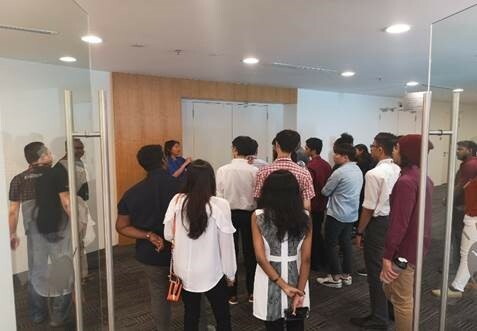 In order to expose students towards the array of innovative ideas, the Technology Management (TM) cluster of APU School of Technology organized an industrial visit to International Business Machines (IBM) Client Innovation Center in Cyberjaya, Selangor to equip students with the latest knowledge and innovative technology. 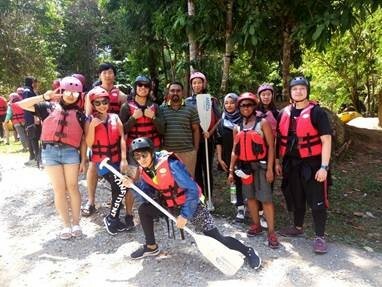 23 students from various technology specialisms were accompanied by Mr. Mohammad Namazee and Mr. Jerry Chong. 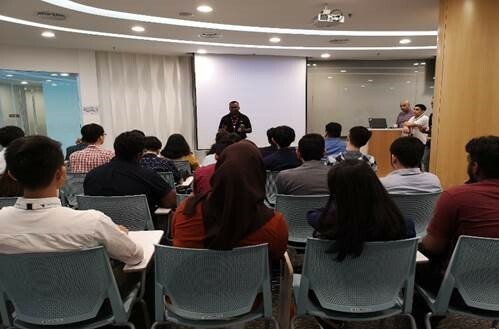 The visit to IBM CIC began with a welcoming speech by Mr. Yogeswaran, Team Leader for Global Shared Services Department who introduced the organization business units and their operations throughout the globe, providing students with the desired qualities of graduates that a fortune 500 company demands. Students were then taken through a technical hands-on session by Mr. Mohammad Rizk and Mr. Musharraf, Senior Business Intelligence Architects in charge of IBM’s Artificial Intelligence system, Watson. The session educated students regarding this high impact revolutionary A.I technology in the ever-changing industry. Overall, students had a positive feedback about the visit, widening their awareness on Artificial Intelligence and IBM itself. This aligned with the objective of the visit to expose students to a real-life working environment as an IT professional, as well as to equip them with the knowledge and understanding about the current and latest technology. 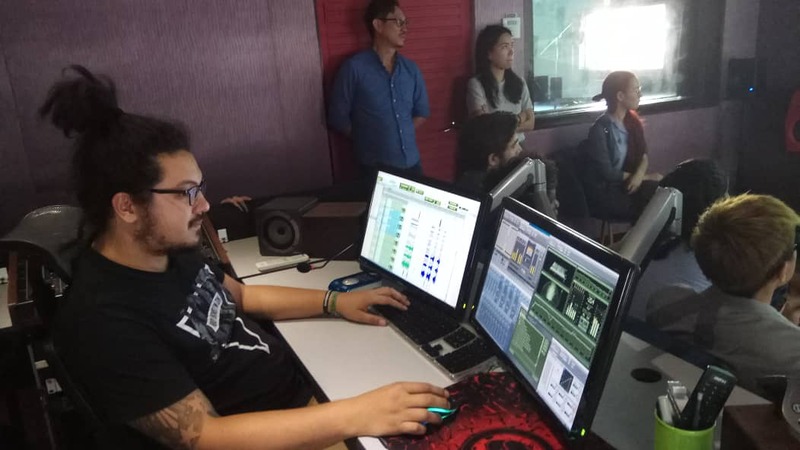 As part of their effort in equipping APU students into the workforce community, APIIT’s School of Media, Arts & Design (SoMAD) recently organized an industrial visit to the Streamline Studios, one of the well-established game development companies in Malaysia and worldwide for the Computer Games Development (CGD) and Visual Effects (VFX) students. 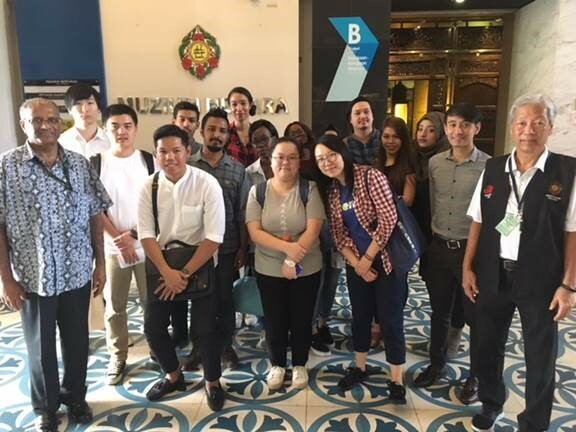 This visit was coordinated and managed by our lecturers from SoMAD, with aims to introduce students to the working culture and environment in the studio. 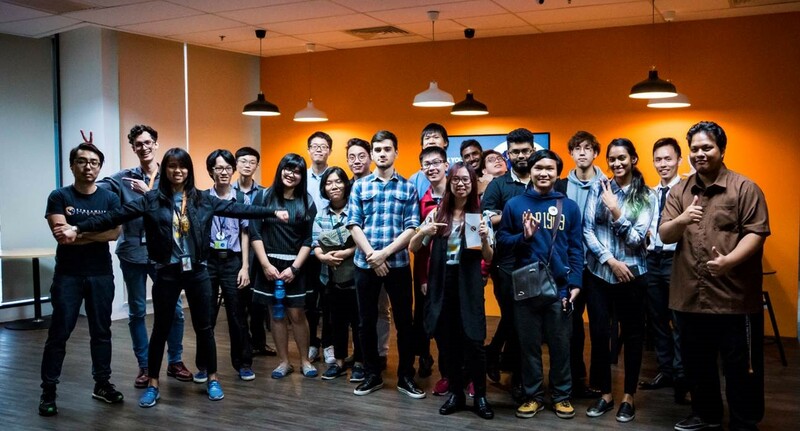 During their visit, our students had a chance to talk to some of the masterminds behind internationally-renowned video game titles such as Street Fighter V, Final Fantasy XV and BioShock Infinite. 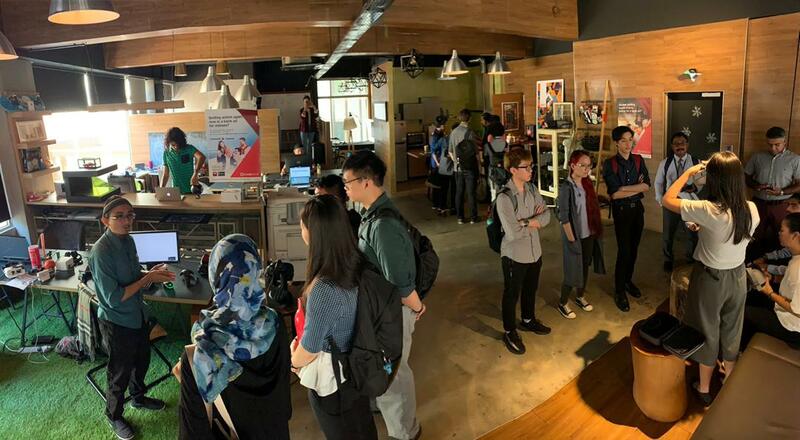 Some of the highlights in this visit were the introduction to international game projects the studio was working on, as well as a sharing session that provided students with an insight of skills required to develop a career in the creative games and visual effects industry. Speakers at Streamline Studios also shared some tips and tricks of becoming a good games designer, alongside their valuable experience developing games for multinational companies over the years. An extra bonus was gained as the visiting group met some of the APU alumnus, who are now working at the studio as game developers. It was a fruitful trip as it broadened the horizon of students from both CGD and VFX in this gaming industry, apart from having an enjoyable afternoon with these game experts. 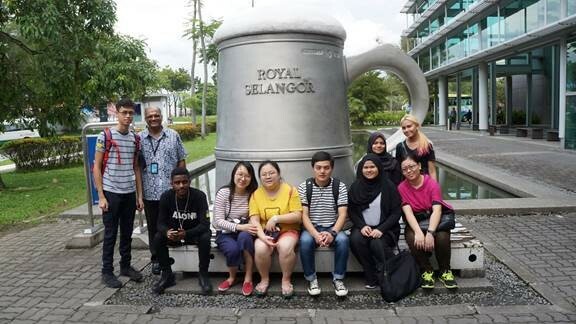 As part of their out-of-classroom experience, a total of 47 students and 4 lecturers from the International Relations (IR) and Media programmes visited the exhibition of ‘Execution by Hunger: Holodomor 1932-1933’ which was held at the University of Malaya Art Gallery recently. 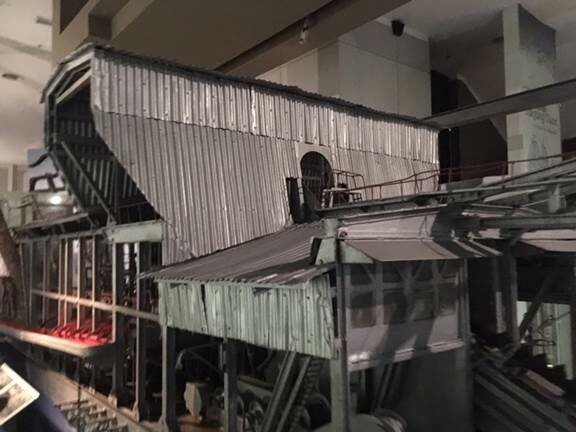 The exhibition, supported by the embassy of Ukraine in Malaysia, was coordinated by the Ukraine 3000 International Charitable Fund, to highlight the gruesome effect of a man-made famine against the Soviet-Ukrainian people under the dictatorship of Joseph Stalin. The Holodomor or also referred to as the Great Famine has been long ignored by the international society and to bring light and recognition to the event, Ukrainian Government has organised similar exhibitions all around the world such as Canada, the United Kingdom and the United States. Throughout the visit, the IR and Media students were exposed to the reality and adversity of the Holodomor which had caused the death of estimated 6-7 million people. The students had the opportunity to gain knowledge from a historic documentary produced based on the first hand experiences of the survivors of the Holodomor, which detailed how Ukrainian farmers were forced to give up their crops for taxes. 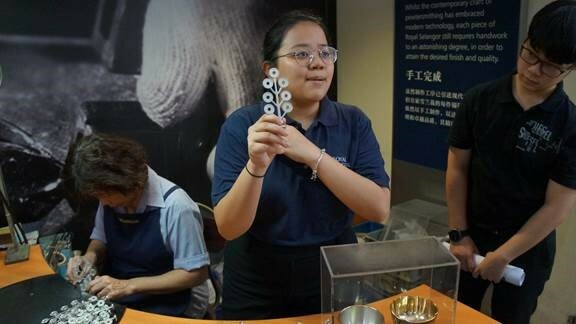 As a whole, the exhibition allowed students to understand the plight of victims and at the same time learn about the history of the Holodomor and its effect on Ukraine today. One of the aims of IR as a discipline is to understand the struggles of the past and try to prevent it from occurring in the future. 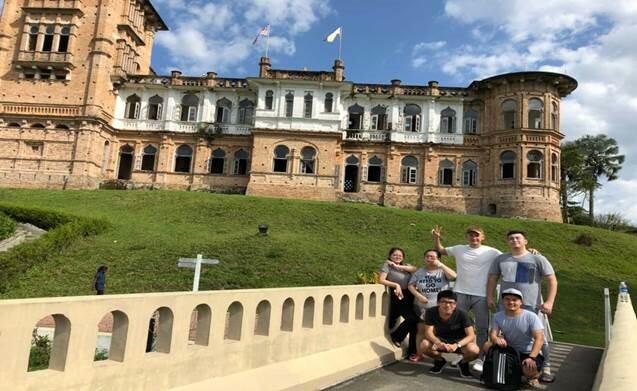 We appreciate this opportunity created for the students by the lecturers and hope that APU’s IR and Media students were able to learn from the mistakes of Stalin’s regime, thus appreciate the value of human rights and social justice in the world to be ‘better leaders of the future’. We are pleased to share that a total of 24 students and 3 lecturers from the International Relations and Media programmes attended the ‘Syria, Yemen, Iraq: The Risk of Forever Being Lost' photo exhibition recently, which was organised by the Islamic Arts Museum Malaysia (IAMM) in collaboration with the International Committee of the Red Cross (ICRC). The visit was an initiative to allow participants to have an out-of-classroom experience with regards to the subject matter of peace, war and conflict. The exhibition illustrates the degree of destruction resulted from the armed conflicts taking place in Syria, Iraq and Yemen. The display was divided into four sections: Religious Edifices, Commercial Structures, Social Dwellings and Historical Monuments. The exhibition is an attempt by IAMM and ICRC to record the before and after destruction and recollect the memories of world shared heritage. 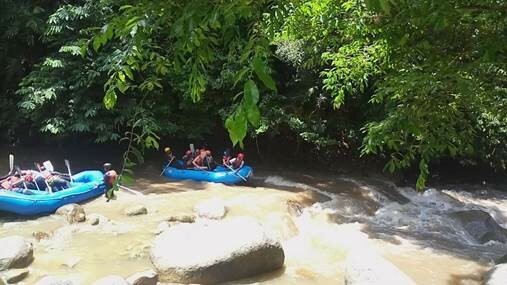 Throughout the visit, the IR and Media students were exposed to the enormity of the on-going crisis and to ponder upon what the world have lost. The students learned how cultural heritage sites and historical properties have been destroyed due to the civil war and armed conflict in the Middle East and the Levant. 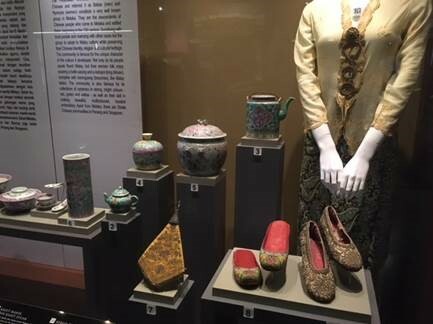 The display also benefited the students as they are now able to understand that armed conflicts within and between states not only results in devastating reports of deaths and increase of asylum seekers but also demolishes cultural heritage and identity. Often time during conflict, we see the enduring power of heritage to heal and build peace. In 2011, during the Arab Spring protests in Egypt, a group of young men from different background formed a human chain outside the main gates on Tahrir Square in an attempt to protect the National Museum from looters. The event showed how heritage could be a powerful tool for peace, and must be protected. Hence, we appreciate this opportunity created for the students by the lecturers and hope that in the future, APU’s IR and Media students will uphold the value of heritage as the symbol of peace and participate in the efforts to save and protect cultural heritage in every corner of the world.